As long-running games evolve, the older bits of design begin to show their rust. For a game with a lifespan like League of Legends, which has been around for almost a decade, there’s plenty of old gears that don’t turn like they used to. One of those rusty bits, Galio, is next up to receive a spruce and shine. 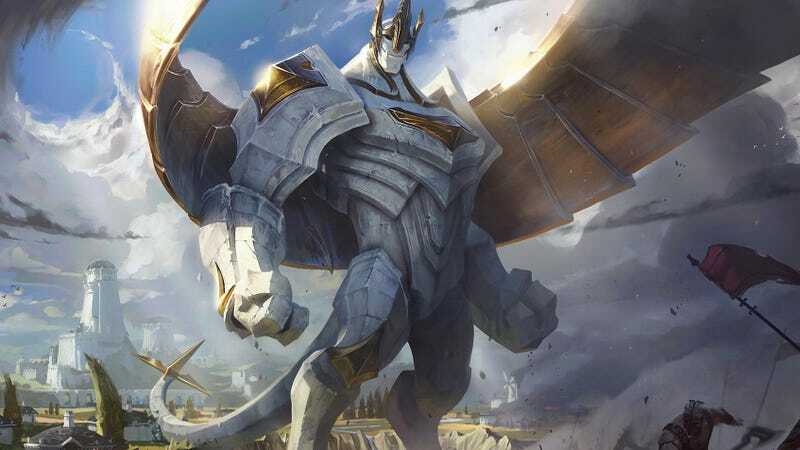 In a short teaser video, Riot unveiled the brand new Galio, with full statistics and ability descriptions alongside videos detailing his new arsenal. The old Galio was a relic of League, a holdover from past versions that lost his usefulness as the game evolved. His core concept has always been simple: Be the anti-magic tank. His abilities were focused around countering tiny mages who packed a punch but lacked in defense, all while gaining power the more enemies hit him and the more magic resistance he built. But his kit got dated in recent years. His ultimate required using your Flash spell, which comes with a five-minute cooldown, to land on more than a single enemy. His movement speed-enhancing ability became a lot less valuable in an age where every champion has gap-closers and dashes, and he simply just didn’t pack the punch of other tanks. The new Galio can hurt some people, and he still retains some of the core concepts that made him unique. He still scales with magic resistance, and can use a shield to absorb magic damage, releasing it to taunt enemies into attacking his bulky frame. His ultimate now allows him to rush to his allies’ aid, taking flight to shield them and knocking nearby enemies into the air. Like the recent Warwick rework, the Galio renovation keeps him in his lane while polishing him for modern play. 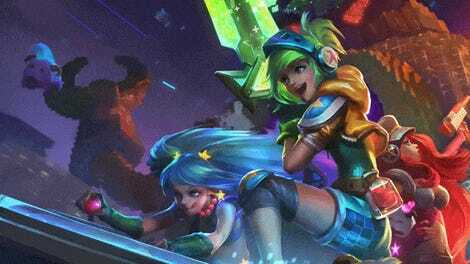 Reworking a champion has frequently changed characters for the better (though some are on their second or third revision and still in need of tune-ups), and it allows fans of the old champion to get reacquainted with a new character, while still sticking to a play style that drew them there in the first place. For a game that’s been, and will likely continue to be, around as long as League, it’s heartening to see old champions from the early days get a second shot at the limelight.